We often make the link between exercise and physical health, but the benefits of exercise in relation to our mental health can be overlooked. With today marking the beginning of National School Sports Week, First Psychology is raising awareness of the importance of exercise for children's mental health. Throughout this week, we'll be posting about the benefits and ways they can be achieved. Come back each day to read our daily tips. Is your child struggling to concentrate in class or becoming easily distracted? As well as critical thinking, fast learning, and good judgement, concentration skills are stimulated while playing active sports. By developing these skills in sports, children can transfer and make use of them in other areas of their lives, such as the classroom! Sport of the day: 'Catch' - simple but fun! Grab any sized ball and head outside with your child to see how many challenging throws they can catch without dropping the ball. The more running around the better! Being able to participate in a team rather than individually is an essential skill in most professions. By taking part in team sports, we are able to recognise the importance of social skills and responsibility, while also having a great time! Sport of the day: Football - A great team sport requiring only a ball and some make-your-own goal posts! Football can allow your child to learn about the importance of teamwork and enable them to find strength in unity. Exercise can trigger the release of chemicals in the brain that make us feel good. The benefits of improved mood on mental health are pretty self-explanatory so why not boost your child's mood by trying a new sport? Sport of the day: Mindful Moving - Perhaps not the most active of sports but a great way to get in touch with nature and to feel connected to yourself. Take your child to explore the great outdoors on a mood boosting nature trail this summer. Motivation breeds motivation so why not use sport to get the process going? Dedicating time and working to improve sporting performance can encourage your child to put in the effort in other areas of their lives too. Sport of the day: Swimming - Submerge yourself in a swimming pool this week and help motivate your child to work on those lengths or to improve that front crawl! Does your child struggle to fall asleep at night? 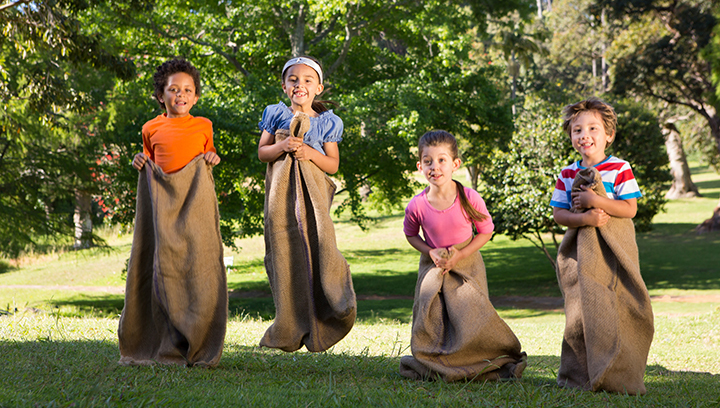 There is a good chance they just have too much energy left rushing through their body after a day of minimal activity. Problems with sleep can be associated with various mental health issues such as stress and anxiety. Try to combat this by making sure your child is doing enough exercise to make healthy use of all that energy! Sport of the day: Cycling - A challenging cycle route is a great way to get rid of all that excess energy while also providing an effective workout and fun for both adults and children. So what are you waiting for?